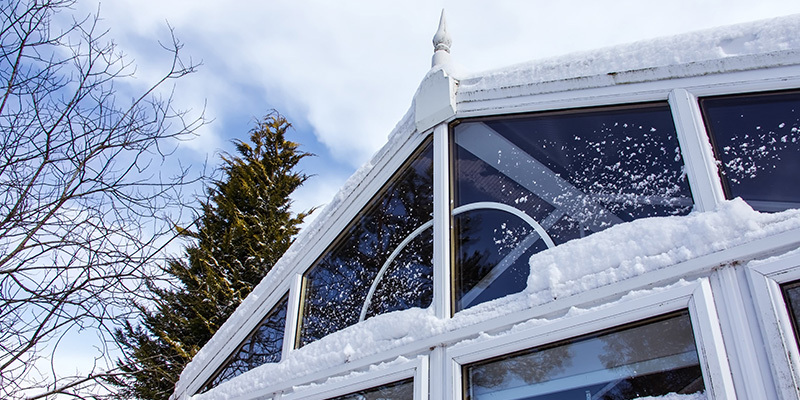 As the cold winter weather starts to set in, you may have noticed a significant decrease in the overall temperature of your property’s conservatory. If this is the case, and your conservatory doesn’t seem to be retaining heat effectively, then there are a few methods that you can put in place to improve the thermal efficiency of your home. From fitting your conservatory with carpets to altogether replacing the existing roof, here is our guide on how to keep a conservatory warm in the winter. In the summer, your conservatory provides the ideal sanctuary and transitional room, connecting the inside of your house with the summery outdoors. However, during the winter months, your conservatory can quickly transform into a cold and uninviting space within your home. As soon as the winter chill sets in, conservatories all across the UK are abandoned. Nevertheless, we have thought of several ways you can improve the temperature in your conservatory. The ideas and advice we have thought of, are available at both ends of the financial spectrum; there are several significant monetary investment ideas and also, some cheaper alternatives. Keep reading to find out more. If your conservatory is floored with either tiles or hardwood, then this can be making a huge impact on the temperature of the room. Wooden flooring is unable to retain much heat, and any heat it can hold, it has a hard job doing so. To overcome this issue, you can have the room carpeted to improve its thermal insulating properties significantly. Or, you can invest in several large rugs to place over the tiling or wooden floor. Having the room carpeted will make more of an impact than rugs would, however, having the room lined with carpet may not be practical for summer months. If you have children who’ll be regularly in and out of the garden, an easily washable floor is more ideal concerning practicality. If you prefer not to invest in carpets that are likely to get destroyed, then it could be worth looking into the installation of underfloor heating. This is an expensive but guaranteed way to increase the warmth in your conservatory throughout the winter months. The presence of draughts in your conservatory is likely to be having a big impact on it’s ability to retain heat. However, eliminating draughts in your home is a simple and relatively inexpensive process. It is a good idea to have a professional look around the state of your conservatory and identify the draughts for you. They will then be able to address the problems. This will usually be in the form of sealing repairs on windows and doors. Nevertheless, if it is the condition of the window frames that are causing draughts, then it might be worth replacing your current Windows in Milton Keynes. However, if the problem is much less serious than that, then you can simply get away with purchasing thermal curtains or blinds to improve your conservatory’s heat retention. It is a good idea to have blinds fitted to the ceiling of your conservatory. As heat rises, you may find that what little heat you already have is escaping through the roof. This can be prevented by the addition of thick ceiling blinds, or a conservatory roof replacement. If your conservatory is built entirely from glass, then this could be where you are losing a significant amount of heat. Nowadays, many conservatories are built with tiled roofs to help make them more energy efficient, ensuring you are cool in the summer and warm in the winter. The initial cost of the conservatory roof replacement in Aylesbury will be expensive, but the amount of money it will save on your annual energy bills makes the expense a worthwhile investment, in the long run. The tiles help to retain heat in the room, far more effectively than PVC and glass does. Moreover, you can have the option to insulate your conservatory with cavity wall insulation to further improve its ability at preserving heat. The addition of a tiled roof will also make your conservatory look more like an extension rather than a summer room. Unlike a glass or uPVC roof, the Guardian warm roof is far less maintenance and doesn’t require regular cleaning. For more information about the technology behind Guardian Warm Roof’s, take a read of this article. Depending on the age of your conservatory, it may or may not be fitted with double glazing. If it is more than 20 years old then it’s likely only to contain single-paned glass. This will be contributing massively to the heat loss in your conservatory. Investing in double or triple glazed glass will significantly improve the room’s ability to retain the heat and prevent cold air from entering. We should make you aware that replacing the glazing in your conservatory will be a considerable investment. Therefore, depending on how often you use that room, you need to work out whether it will be a valuable investment to you or an unnecessary expense. However, you should bear in mind that improving the efficiency of your conservatory will improve the resale value of your home.  If you are looking for a reliable supplier and installer of double glazing in Brackley, then get in touch with Crown Windows today. The addition of a small heater in your conservatory can make a significant impact on the temperature of the room. Even the presence of a few small candles will help to improve the overall temperature. You may want to purchase a portable heater that can be stored away in the summertime. Alternatively, if you are limited for space in your conservatory, you could look into a wall-mount heater. There is an abundance of heaters available nowadays that are built to look like fireplaces and small wood burners. If this is a style of electric heater you are interested in, take a look at this range on B&Q. A lot of these now come with LED remote controls and timers. If you have found this article useful, please feel free to share it on your social media using the links below.